Aesthetics is one of the most common features that consumers look for when choosing textiles and apparels. 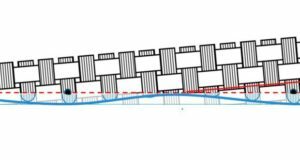 However, in many end-use industries, functionality takes precedence over aesthetics, and qualities, such as insulation, fire-resistance, flexibility, and durability are highly desired. Technical textile is a special kind of fabric offering the above properties and gaining traction in a wide range of industries, from automotive and construction to sportswear and agriculture. 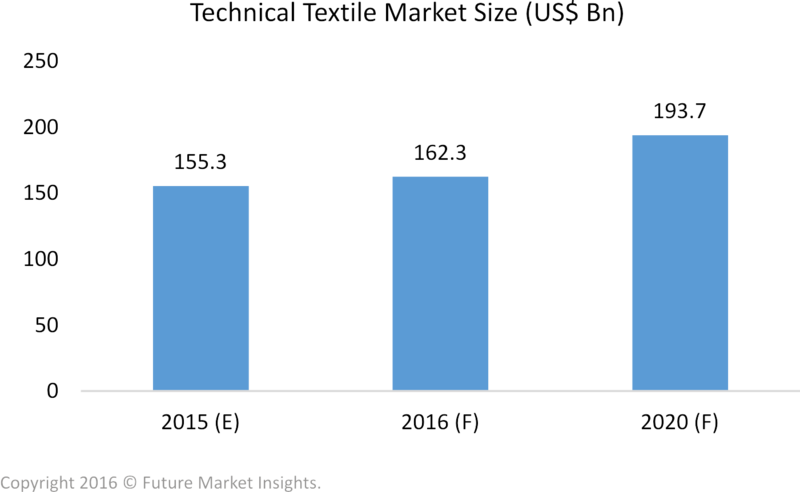 The global technical textiles market was valued at nearly US$ 155 Bn in 2015. 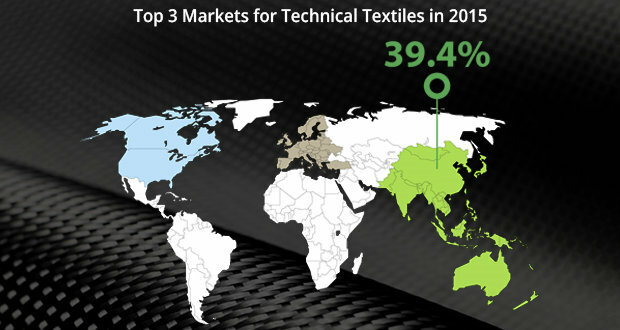 By 2020, the global technical textiles market is estimated to pull in US$ 193 Bn in revenues. 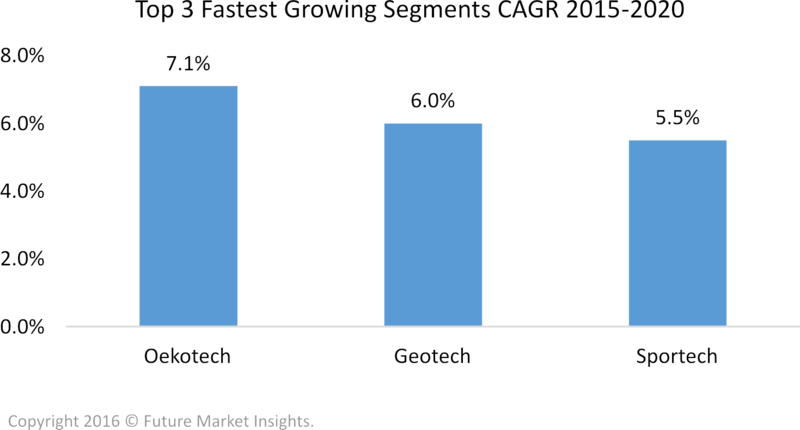 Among these, Indutech, Packtech, and Mobiltech are the largest segments on the basis of revenues. The Indutech and Packtech segment revenue were valued at US$ 21.8 Bn each in 2015, whereas Mobiltech segment was valued at US$ 20.7 Bn. Demand for novel technical textiles, such as Oekotech, Geotech, and Sportech will increase at the highest CAGR through 2020. Oekotech – technical textiles used in environmental protection and recycling – are gaining traction globally owing to the growing focus on sustainable development. The Oekotech segment is anticipated to increase at the highest CAGR and total US$ 4 billion in revenues by 2020. Geotech – technical textiles used in geotechnical applications pertaining to rock, earth, etc. 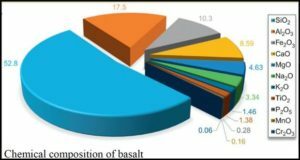 – are used in the construction of roads and pavements, rail-track bed stabilisation, slope stabilisation, etc. The Geotech segment of the technical textiles market is expected to increase at nearly 6% CAGR through 2020. 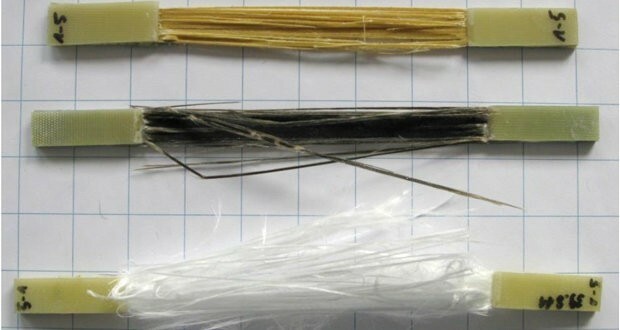 Sportech, another quickly growing segment of technical textiles, finds applications in creating artificial turfs, fishing rods, golf clubs, parachute fabrics, etc. Demand for Sportech technical textiles is expected to witness a CAGR of 5.5% through 2020. 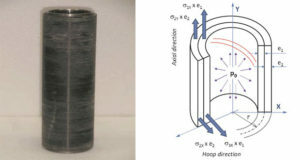 On the basis of process type, technical textiles can be broadly categorised into non-woven, composite, and others (knitting, braiding, and weaving). 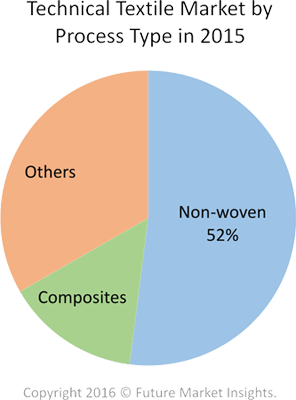 Among these, demand for non-woven technical textiles is the highest, with this segment valued at over US$ 80 Bn in 2015. Non-wovens are expected to increase at the highest CAGR during the forecast period, and continue to hold the majority revenue share of the technical textiles market. Asia Pacific is the largest market for technical textiles, both in terms of production and consumption. Home to two of the world’s most populous regions, textile production has remained a key employment avenue in the region. High demand for technical textiles has prompted textile manufacturing companies to invest in R&D and increase the production of technical textiles. The Asia Pacific technical textile market is expected to continue its dominance of the global market through 2020. In addition to Asia Pacific, Western Europe and North America are the two other lucrative markets for technical textiles. Leading companies operating in the technical textiles market include Polymer Group Inc., Ahlstrom Corporation, DuPont Chemicals Company, Freudenberg & Co. KG, and TWE Group.